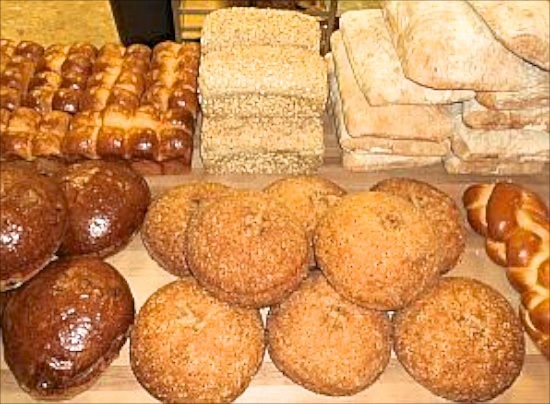 Beginning on January 31, 2014 for 8 weeks, Scratch Baking in Milford will be kicking-off their second annual "Loaf of the Week" club. Participants, known as "the loafers," receive a surprise bread and spread each week, paired with a recipe. Think of it as a winter CSA for your bread box. "It really is alot of fun and honestly it is perfect for winter time when you just want to curl up and fire up that crockpot," said Lesli Flick, Scratch owner and baker. Last year, Scratch's Loaf of the Week baked fresh loaves of brioche paired with a cinnamon raisin butter, ciabatta with pesto, and rosemary focaccia with a lemon curd. The cost to become a Loafer is $65 for 8 weeks of breads and spreads. To sign up for Scratch's Loaf of the Week club, email writeus@scratchbakingct.com or call 203.301.4396 and specify Friday or Saturday pick-up along with your name, phone number, and email address. For more information about Scratch, visit scratchbakingct.com. Scratch Baking is located at 58 River Street in Milford, CT.